Because every fibro body is so individual, I have always worked to include more than just one way in selecting the best diet for fibromyalgia. That said, there continues to be a lot of negative news around grains these days, but worry not..there are still some ways to ‘salvage’ the grain, at least a few of them anyway. With the right preparation and know how, we can still have some grain and eat it too !! If we are going to throw around phrases like "our grain today is not like grandma's grain was 80 years ago" then we must also realize this applies to the entire food chain. It's true !! Our soil, our air, our water ...nothing is like it used to be, and yet even myself, as a long time proponent of grain free eating, I believe that food quality and preparation can make a big difference in how our bodies process and assimilate nutrients today..
See, the truth is that most people have difficulty in attaining a 100% grain free diet for fibromyalgia, and for many it is just not feasible. As a teacher and promoter of gluten free and grain free eating, I agree and promote eating more grain free meals, yet I also see the need to have flexibility, in a way that can still promote health and keep one’s sanity at the same time. Why flexibility? Because not everyone needs to avoid grains completely in their diet for fibromyalgia, and because eating too many concentrated foods in place of grains can also have a detrimental effect on the body. Most people will do well to avoid gluten, yet there are other non gluten grains that can be utilized on occasion for greater variety in your diet for fibromyalgia. 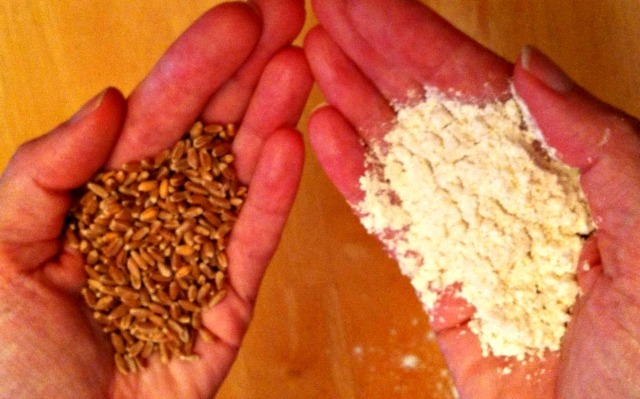 The real issue is the difference between grains and grain flours. The problem with grain flours (found in many gluten free packaged foods) is that they are hard to digest, acid forming, and also increase mucous production in the body; that’s especially not good for the vulnerable fibro body or a diet for fibromyalgia. When grains are soaked, sprouted and eaten raw or cooked properly, they have a completely different effect on digestion and do not create the burden that ‘ground’ flours create through the difficult process of digestion and assimilation. The aflotoxins and enzyme inhibitors can also be effectively removed when prepared this way .. In the Body Ecology plan, we use a few of the ancient grains such as amaranth and quinoa. However, not in the form of flour. These grains and even a few select legumes are always best soaked and sprouted and then cooked lightly and eaten with non-starchy, cultured vegetables or sea vegetables to create balance. Just like when eating animal protein, we need to ingest vegetables and greens with meat to ‘balance out’ the acid from the meat itself, we also need the vegetables to counter any additional acid in grains as well. And what about a protein made from a grain, such as rice protein? We have found that rice protein is not the most digestible form of protein for people with a sensitive GI tract. Both rice and whey protein powders are not the best option. This is also detailed within the Nutrition Tips article here on the site. The sprouted grain proteins made from quinoa, amaranth, artichoke or cranberry protein have higher digestibility. Again, the form is most important, so when these grain proteins are sprouted and germinated, they are better tolerated and assimilated to better nourish organs and muscle tissue. WHY DO WE crave GRAIN FLOURS SO MUCH? Foods made with grain flours are the foods that many of us grew up with. They are highly addictive. Grains that have been simply ground into flour have no life, no germination, no enzymes to support digestion. It’s rather like chewing on a hard piece of rice and expecting it to digest properly. Just like in the case of sugar, the more we eat grain flours, the more we crave them. Grain flours should be treated as an occasional food in the goal of achieving more optimal health and mineral balance within the body. Gotta have some rice with dinner? The best choice is going to be organic and long grain rice, such as a basmati or jasmine rice. Short grain rice is higher in starch, and that's why it works well around sushi rolls, because it ‘sticks’ more easily. What’s good for the sushi roll is not so good for the intestines!! Soak the grain overnight with enough water to cover and even a tsp. of ACV (apple cider vinegar) or CCV (coconut cider vinegar) or sea salt. This will also accelerate the cooking process. 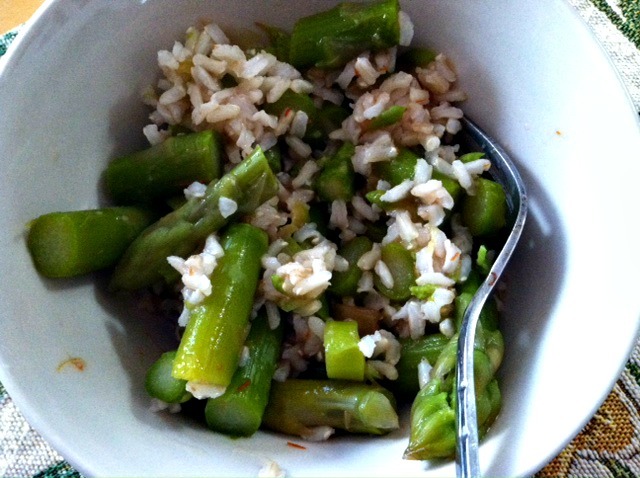 Cook with some cut vegetables to further enhance digestion. For those who enjoy quinoa, this can also be soaked for 12 hours and then lightly sprouted for 18-24 hours and eaten raw (the seed becomes tender) or cooked with vegetables. Note: Always rinse quinoa well before use to remove the saponins from the outer seed.. When serving whole grains, always include a greater amount of non starchy or sea vegetables for balance. No longer do we need a ‘mound’ of rice or quinoa as a side dish .. So now we can occasionally have some grain and eat it too! !